At least you were productive! I have the habit of being distracted by things that are time wasters. 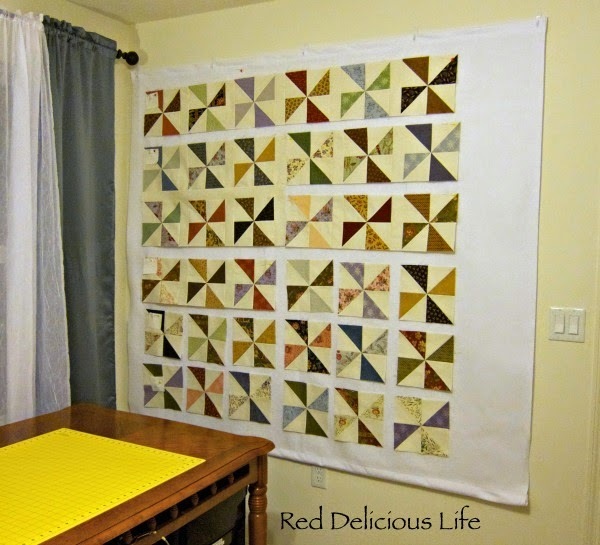 "Oh yeah I was going to look at that tutorial hey there's a pretty quilt I wonder if I can find a pattern i LOVE THAT FABRIC WHERE CAN I BUY IT hmm I might have lunch....". 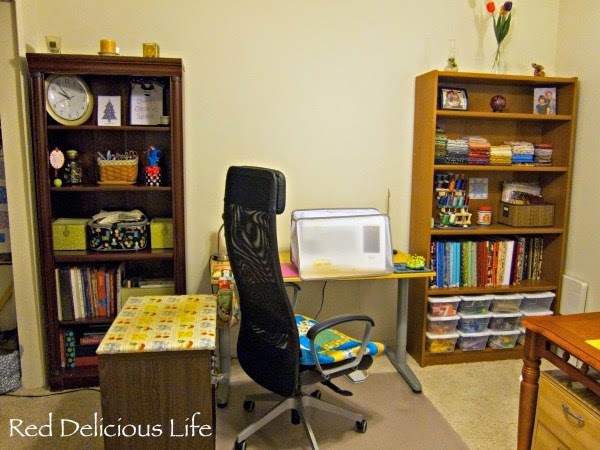 Your tidy looking space is inspiring me to do a bit of a touch up on my own! That is looking great! I totally understand how one thing leads to another. Most the time, I can't remember what I set out to do in the first place. so tidy and everything in its place but wonder where are all the books now. It is good to see the fabric on the shelves, mine is in drawers so have to do through them to find what I want. That chain of logic all made perfect sense to me. Doesn't everyone think like that? This must be the organization post you were talking about! That bookshelf puts me in zen mode ... hahaha. Super jealous of your design wall, someday I will be just like you! Looks great and feels so good to get organized. Enjoy working in a nice clean space. Sounds totally familiar! 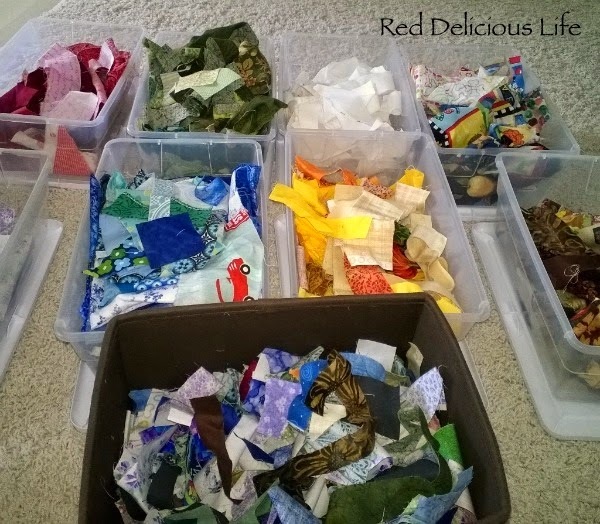 Now that your scraps are organized by color they will be so much easier to use. Well done! My family calls that project creep. It can also be a big problem in renovations. It's how replacing the carpet in the sewing room ends up with painting the kitchen. 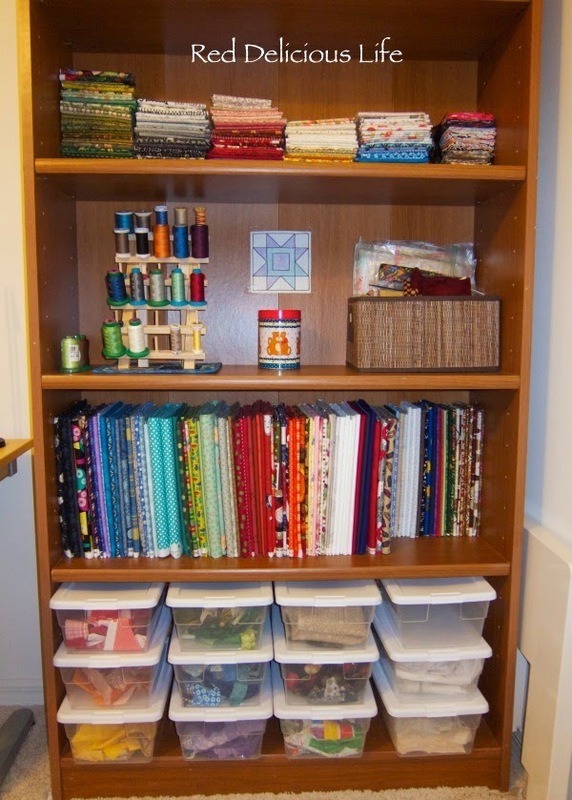 ;) Your sewing room looks lovely all organized. Love the design wall and that's a great place for the iron! Wow!! This looks awesome! I need to do this once we get all the way settled! I am jealous! Congratulations on the re-organization!! 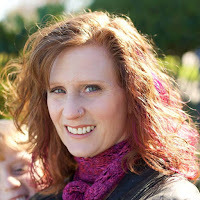 It looks fabulous, I'm very jealous of your setup, especially your big design wall! Your room looks wonderfully inviting. Yes, yes, yes! Love what you have done to your room. 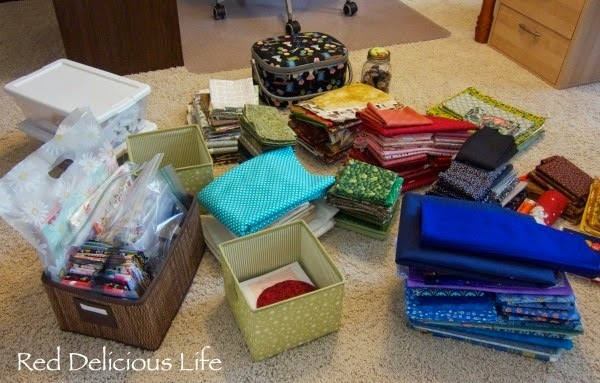 And your fabric storage looks yummy! Congrats on the new design wall! Looks great! 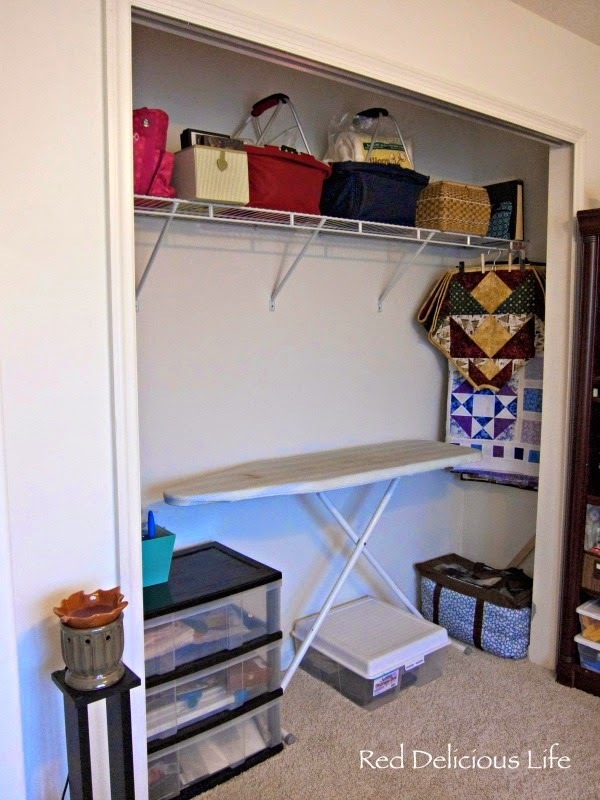 I love seeing other peoples sewing rooms:) I don't have closet doors either...works great. I filled mine with shelves and hung a curtain across the front so I can cover it if I want. Adds some flare to the room too!